Vancouver, BC, February 11, 2016 – SilverBirch Hotels & Resorts is proud to announce that nine of its hotels have received the Award of Excellence for Booking.com Guest Reviews for 2015, recognizing them for achieving high guest review scores. The annual Award of Excellence honours hotels for hospitality excellence as measured by their overall guest review score. 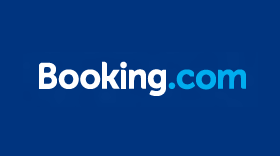 Hotels recognized must have an average review score of 8 or higher out of 10 as displayed on Booking.com by December 31, 2015.